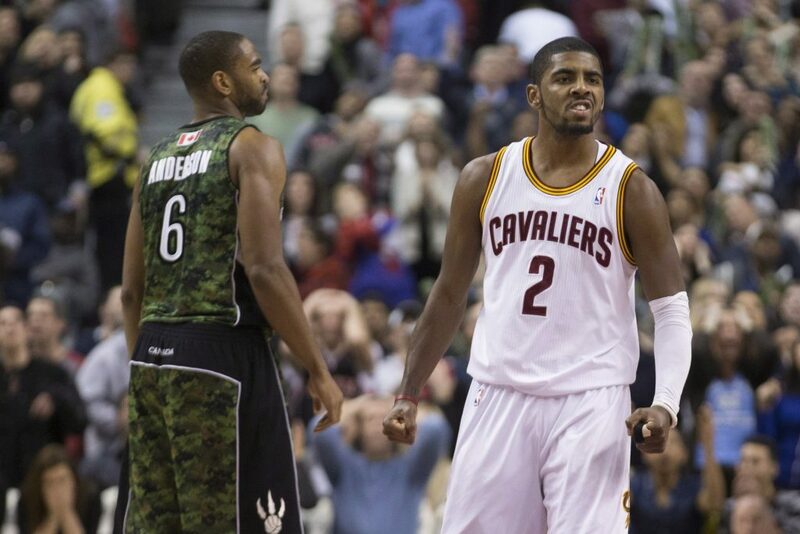 Can LeBron James lead the Cleveland Cavaliers to playoff victory? It is no secret that the Cleveland Cavaliers’ performance has been less than great in the 2017-2018 NBA season. Even though they started off as one of the strongest teams in the championship, they fluctuated a lot. Missed opportunities to score easy wins, a lot of changes in the roster, a leader with too heavy a weight on his shoulders (yes, LeBron cannot do everything by himself), and a game of who’s to blame have marred the Cavs during the regular season. What could be done so that the legendary team can ensure consistently good performances for the playoffs? Let’s get one thing straight: the Cavs were built around LeBron James. Never before have the Cleveland Cavaliers been a contender in the NBA except for the LeBron era. The team did not even make it to the playoffs in the first five seasons since they were founded in 1970, enduring some terrible financial trouble in the early 1980s, before managing to get by slightly better in the next years leading into the early 1990s. Yet, since 1998, the Cavs again failed to appear in the playoffs for six seasons in a row. Until, in 2003, they were given the first overall pick. And the rest was history. Enter LeBron James, who the Cavs selected – an Ohio native himself and fresh off high school, he had already impressed everyone with his raw talent and mature style. LeBron would be named NBA Rookie of the Year in 2004 and from 2005 till now he has been constantly selected to appear on the NBA All-Star Game, with 2018 marking his 14th appearance. He is widely considered the best player on the NBA right now – such was his desire to play basketball as a means to escape his troubled upbringing, that in 2002 he unsuccessfully petitioned the NBA to change its rules in order to allow him to make the draft pick without a high school diploma. James entered the NBA world and grew up within the Cavs. The Cleveland team was built on him, so if the Cavs want to prosper, they need to keep investing in him but also keep an eye out for the next kid hungry to play ball and lead – they need to find the next LeBron. They seemingly did so when they selected Kyrie Irving in 2011, but then they foolishly let him leave for the Boston Celtics. Under LeBron’s extraordinary leadership, the Cavaliers won the Eastern Conference seed for the first time in 2007 and made it all the way to the Finals, losing to the San Antonio Spurs. If there is one lesson to be learned, it’s that the Cavs need to keep their star player happy and allow him to rise to success. When LeBron left for Miami Heat in 2010, the Cavs suffered a terrible losing streak of 26 games and finished last in their conference. When he returned in 2014, he led the team again to the Finals in 2015, 2016 and 2017 – and in 2016 they defeated the Golden State Warriors to win their first and only NBA title. This season, it seems that LeBron isn’t happy; he feels like he is carrying too much weight alone and the roster built around him didn’t quite stick together as expected. He has appeared in all games so far and will probably make it to all 82 matches for the first time in his career, joining Michael Jordan and Karl Malone in the impressive feat of scoring at least 2,000 points in 10 seasons or more. There are many who believe that James will again leave the Cavs when he becomes a free agent – and this would be a devastating loss for the Cavs. Instead, they need to reinvest in their brand, which it’s imperative includes LeBron. When he leads, he does so incredibly and plays the best he has in years. The Cavs need to find a way to give LeBron the space and teammates that he needs and that will lead him to titles worthy of his talent – and then they will secure their performance both before and during the playoffs. LeBron is an incredible asset that the Cavs haven’t quite figured out how to tap into yet. Playing under his guidance could be used as an appeal for future talent – including his very own son, LeBron James Jr., who apparently takes after his father in ball-handling skills. Yet one player alone cannot do everything. The Cavs have been trying to build a roster around LeBron and failing for months now. Their current roster looks nothing like the one that lost to the Warriors in the NBA Finals last year and nothing like the one with which they started this season. In a bold move in February, the Cavaliers decided to trade half their roster, including Isaiah Thomas, who hadn’t really fit in despite high hopes, Derrick Rose, who was plagued by injuries, and 36-year-old Dwyane Wade, LeBron’s best mate from their Miami days, but who failed to make the star duo with the King as many expected. And it worked, although it took a few games for the new team to really hit it off. 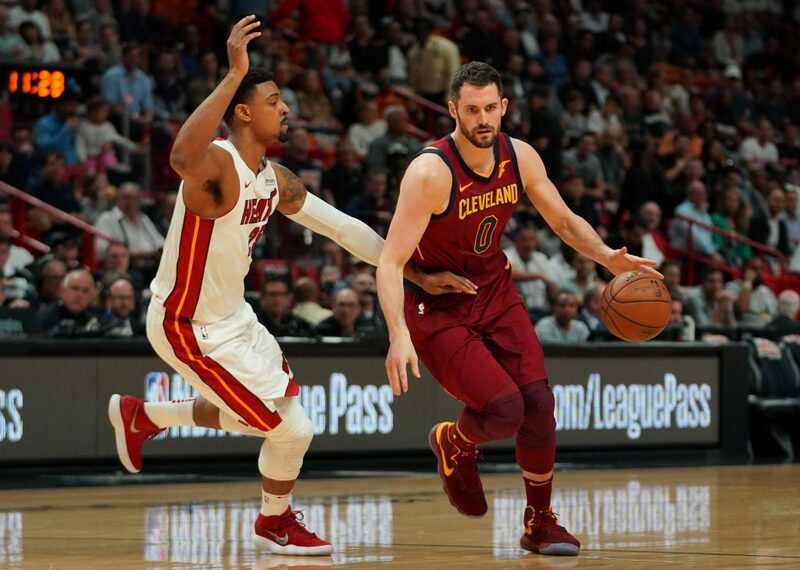 Kevin Love has returned to court and with Thomas out of the way, he gets a lot more attention, providing an unstoppable combination with LeBron. The rebuilt roster has managed to stabilise the team and score wins against the Bucks and the Raptors, securing their position at 10/1 to win the NBA Finals. Now all they need to do is focus even more on their defence, which was boosted by the trades. In January, before the shuffle, the Wine and Gold were allowing an average of 109.5 points per 100 possessions – the only team worse was the Sacramento Kings. And in two of the previous three seasons, the Cavs claimed only the 20th spot or worse in terms of points allowed per 100 possessions. A pretty bad record for Cleveland’s defence – and one that if fixed should allow them to make the playoffs much more comfortably. If NBA history has taught us one thing, it is this: never write off a legendary team before the end of regular season. And especially one that has the world’s best basketball player on their roster.